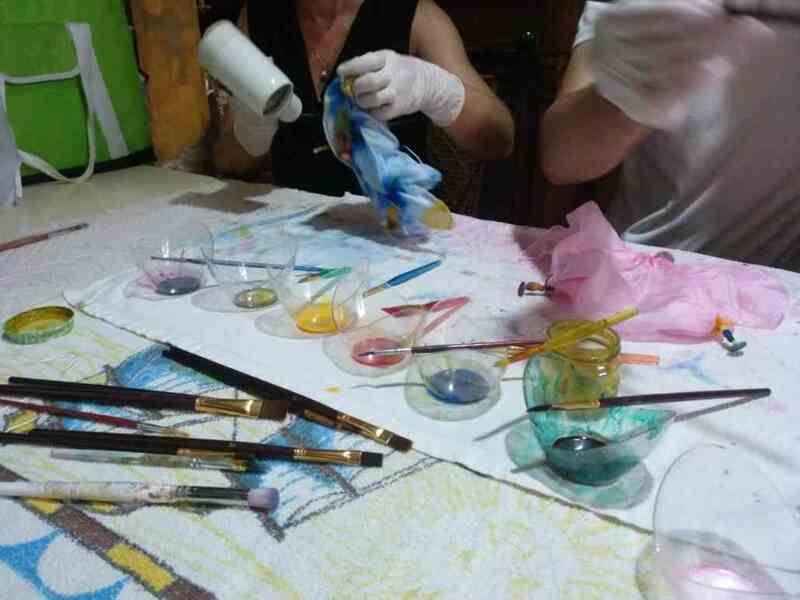 Get to know the Silk Road, which reaches Valencia and unleashes your creativity by painting a silk scarf. Professional official Guide throughout the experience. Tickets to the Silk Museum. Tickets to the Lonja de la Seda (silk market). 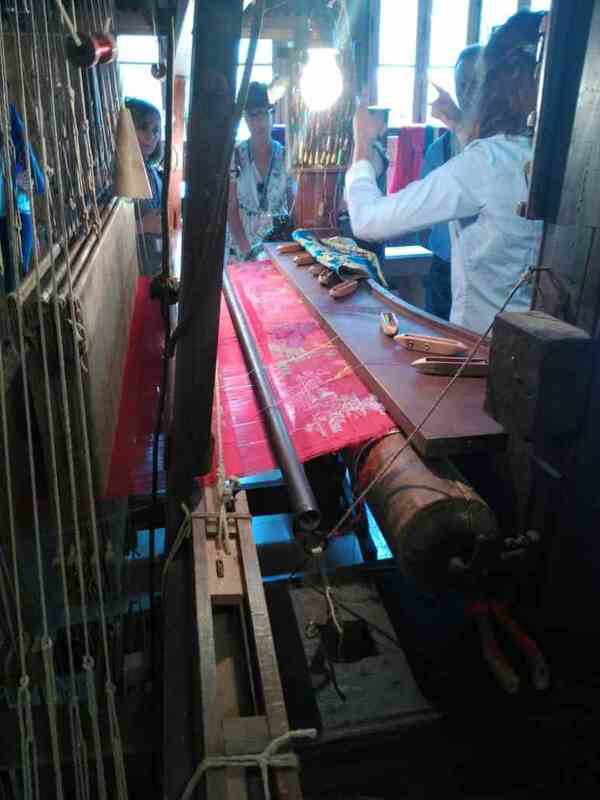 Visit to an old silk workshop. 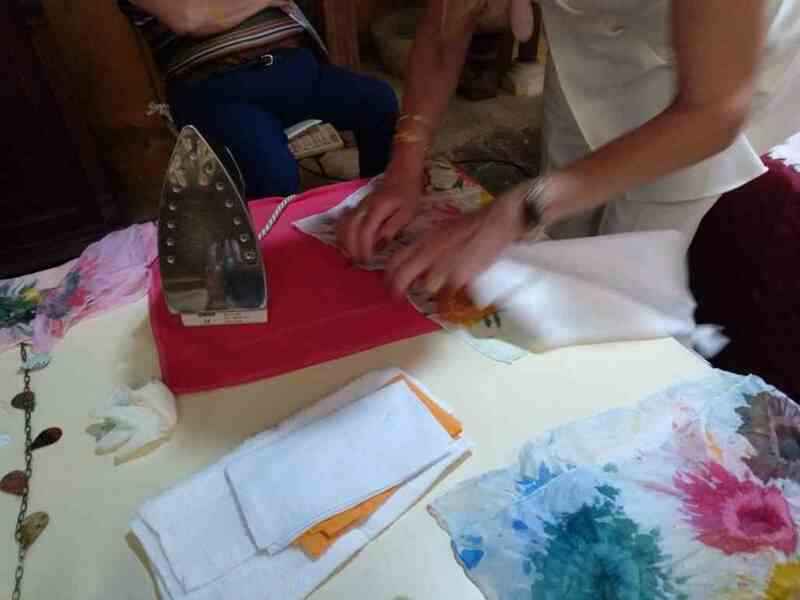 Advice and help at all times of a professional craftsman during the silk workshop. 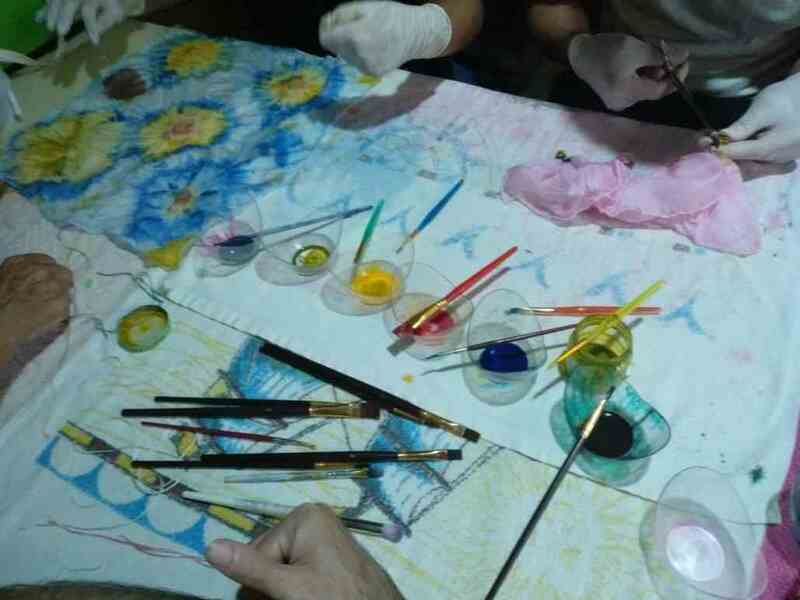 Instructions for the silk workshop, to paint the silk piece. 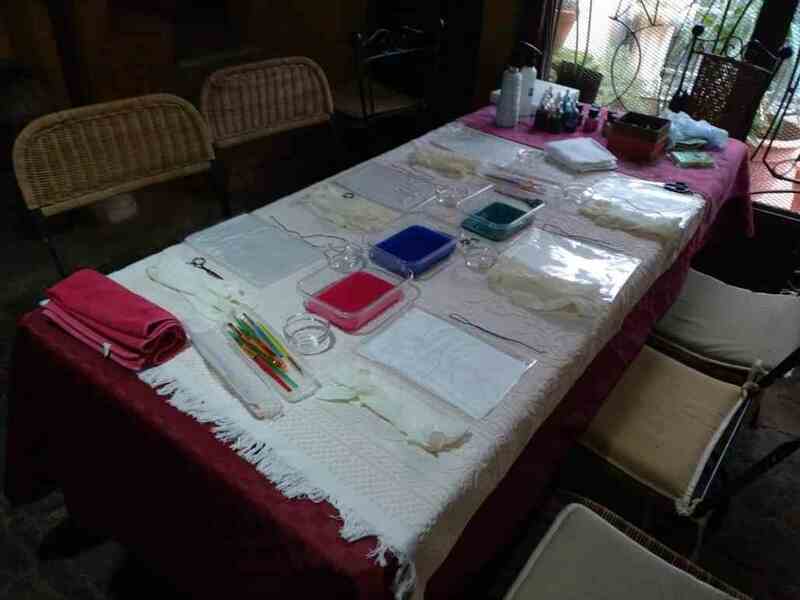 Material needed to make the workshop by painting the piece of silk. 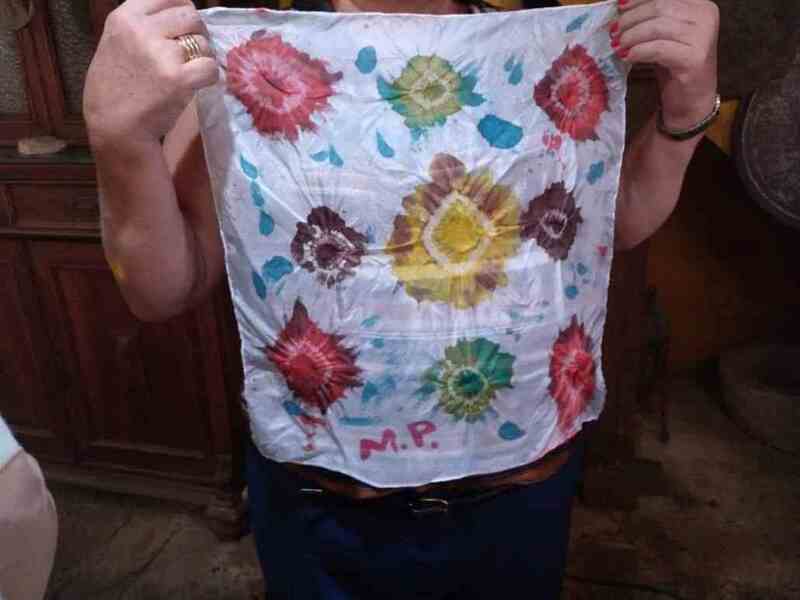 Piece of silk painted by yourself that you will be able to take away as a souvenir. Restaurant reservation for lunch or dinner. 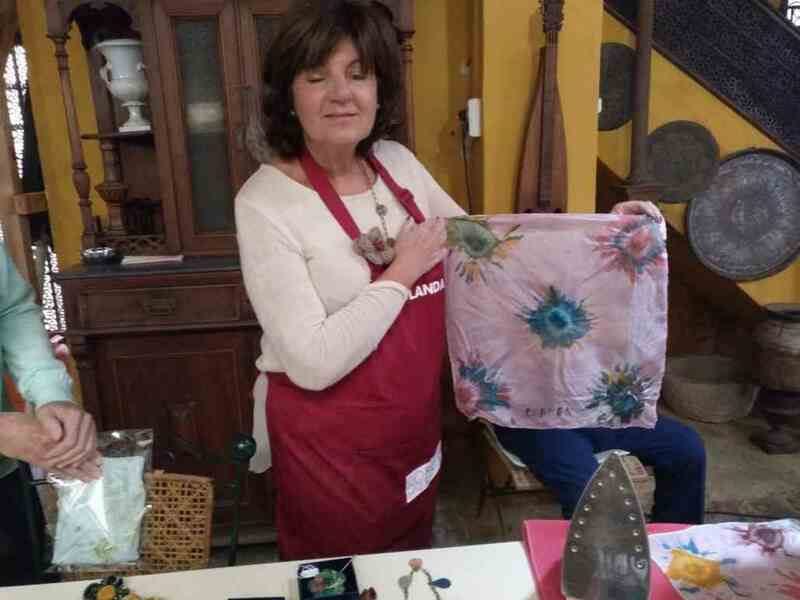 In this Silk workshop, in addition to knowing and touring the silk route that arrives to Valencia, you will also unleash your imagination and creativity by painting a silk scarf that you will take with you as a reminder of this unique activity. The world-famous Silk Road was a network of trade routes that extended from the 1st century BC from China to the European continent and specifically to Spain in the 15th century. 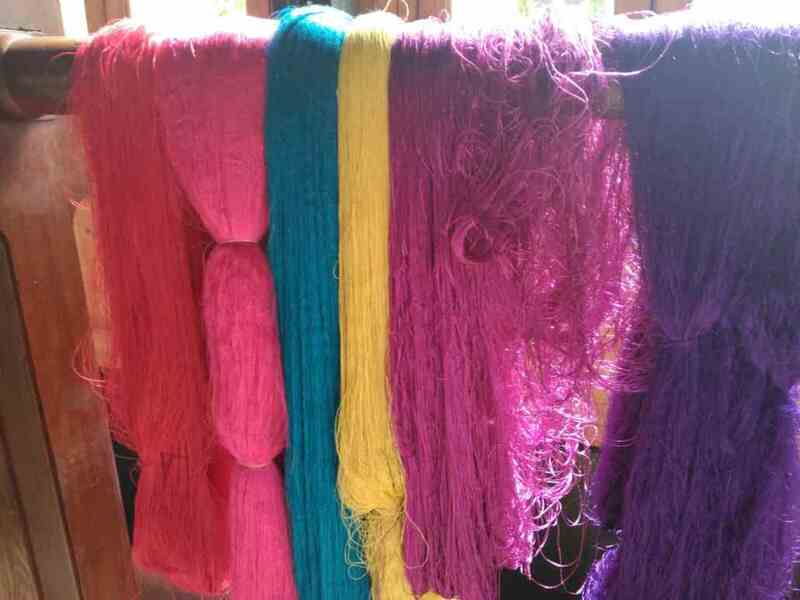 It was given that name because the main product that was marketed on that route was just the silk. 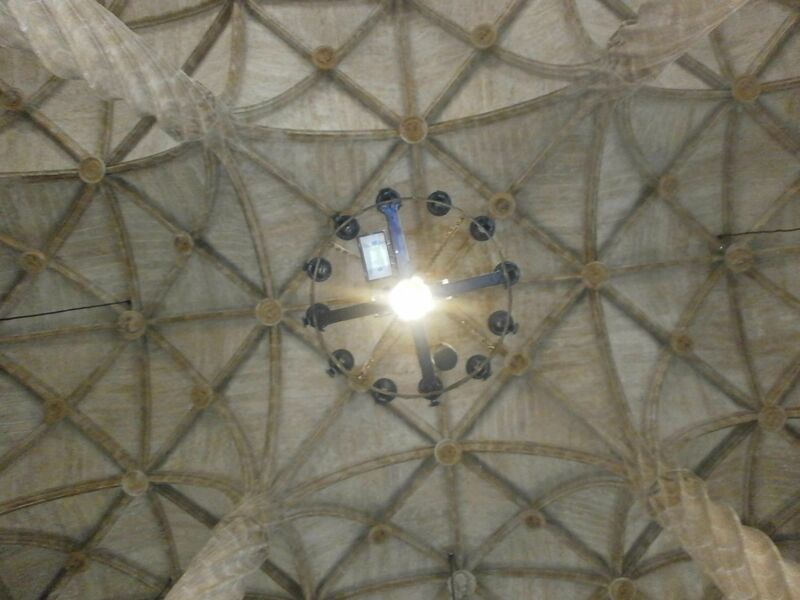 It is in the 15th century that Valencia lives its golden age. It is a time of economic, social, cultural and artistic splendor without precedent. Commercially speaking, Valencia also has a lot of power. In fact, the port of the city was one of the most important in the whole Mediterranean. It was traded with different goods but the most prized was, of course, silk. 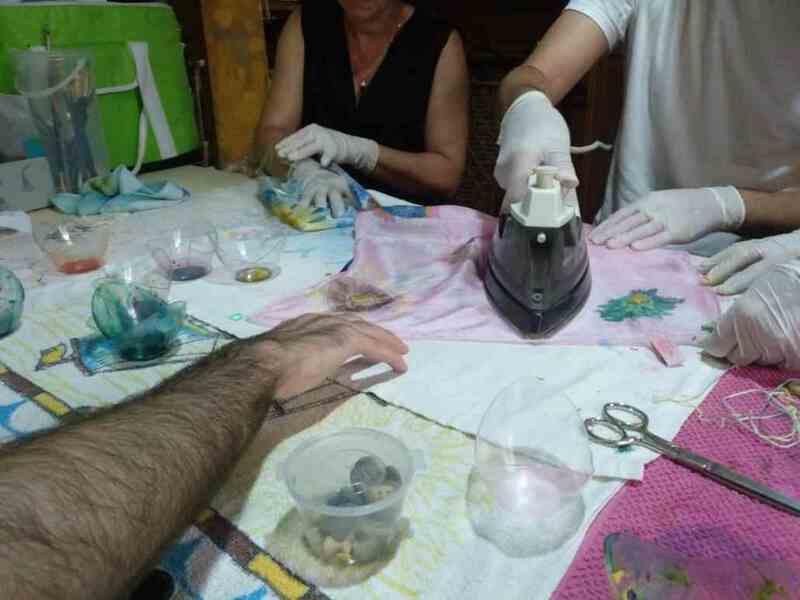 The majority of Valencians throughout our territory raised silkworms because in many cases it was the mainstay of the family. 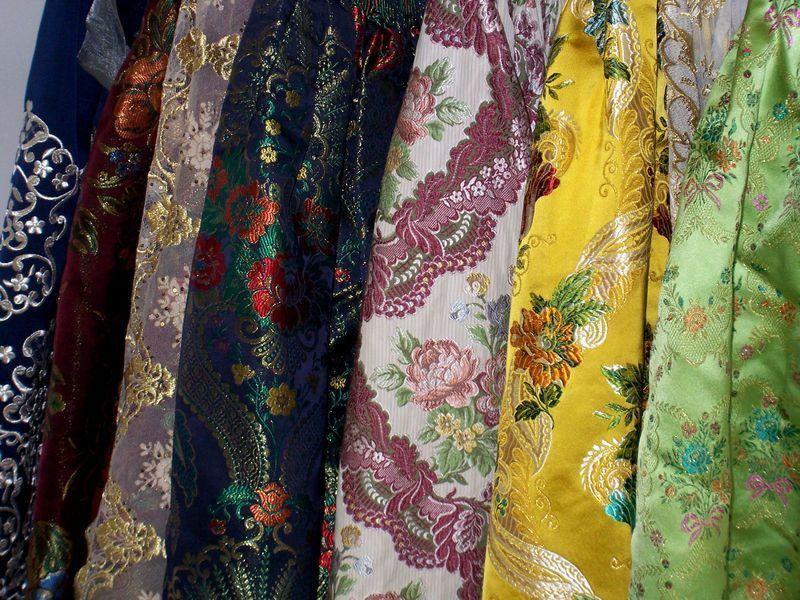 The great importance of silk in Valencia can not go unnoticed and deserves special attention. 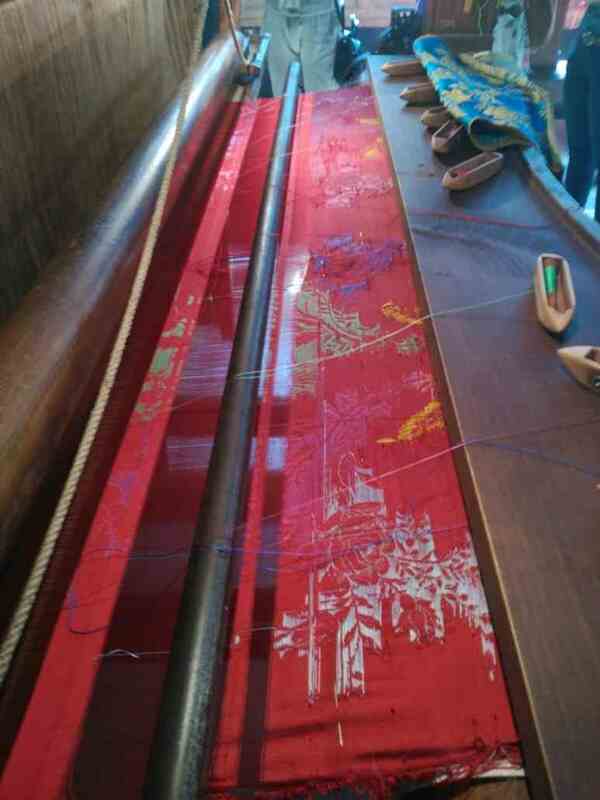 That is why we have created a silk workshop for those who visit us to know in depth this part of our heritage and culture. We start, of course, with the theory. 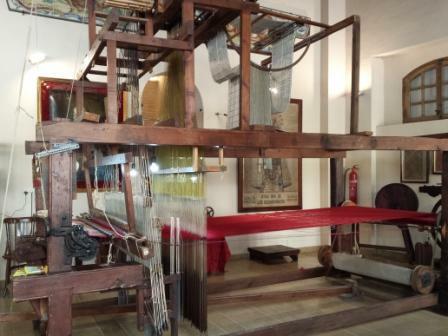 We visit the Silk Museum, located in the Colegio del Arte Mayor de la Seda. 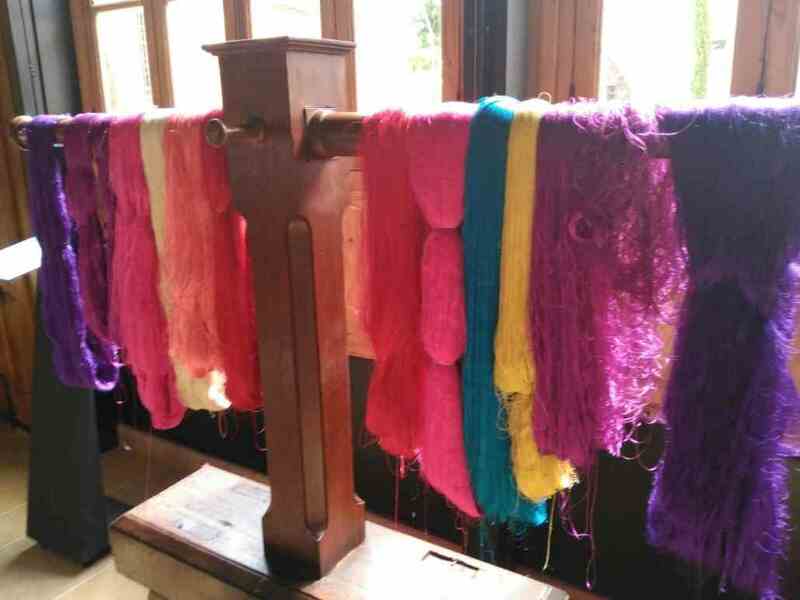 The College is an institution founded in the 15th century, as the headquarters of the VellutersGuild, to regulate the production of silk fabrics and the trade itself. 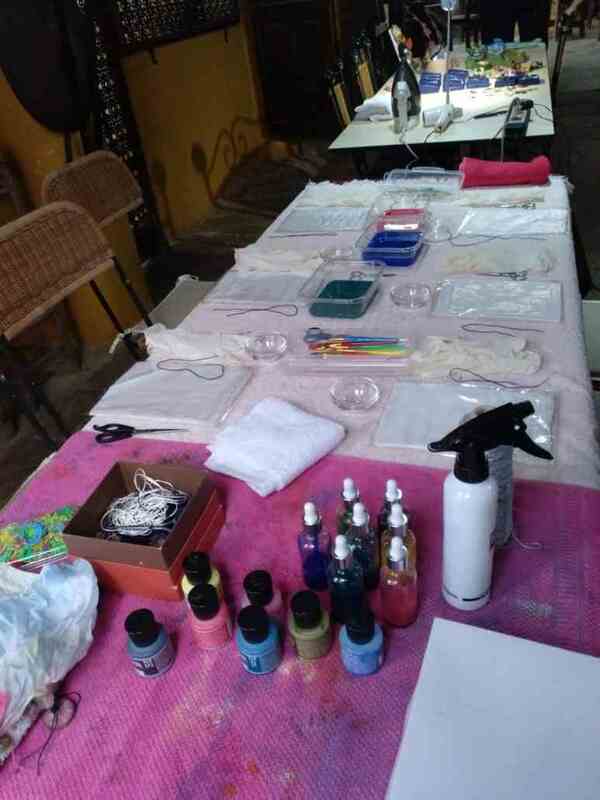 And as it could not be otherwise, is located in the neighborhood of Velluters which means velvet in Valencian. 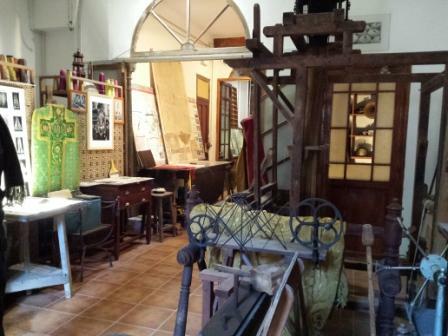 The museum, which opened its doors in 2016, shows the history and the great importance that silk had in Valencia. All this in an exceptional place as it was carried out an important work of recovery of the building that shows all its richness and splendor. 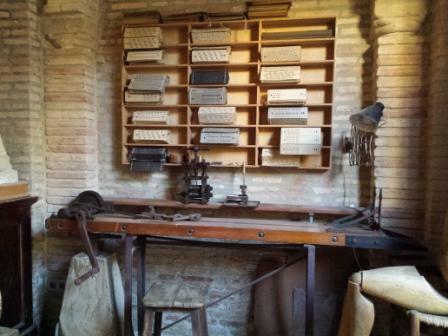 At the end of the visit you will see an old loom and the weaving process of an authentic Espolín. 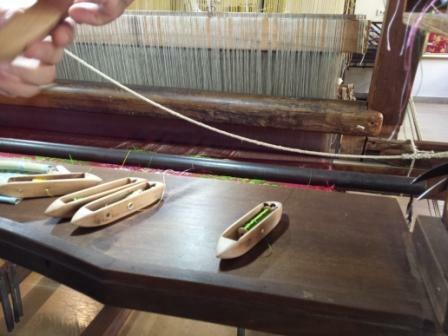 The Espolín is a silk fabric that is made by hand in a wooden loom, so each piece is unique and of great value. 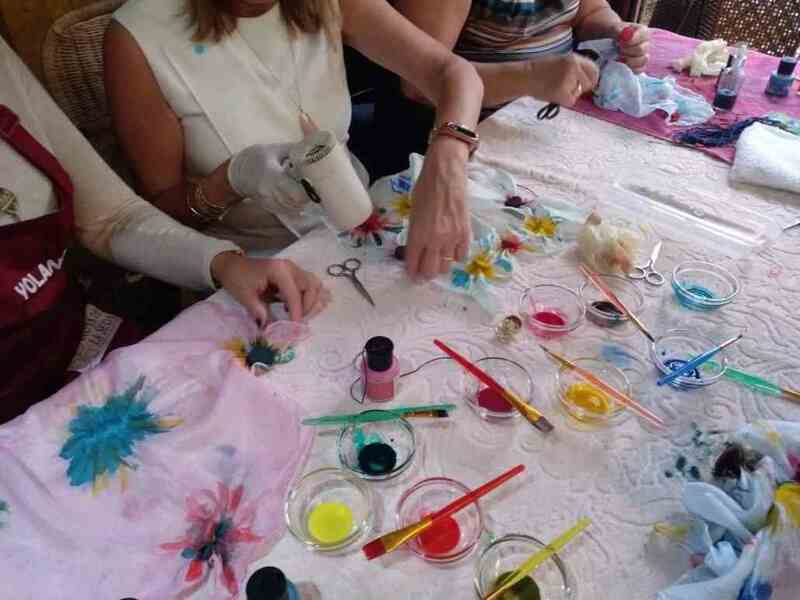 Valencia is the only city in Spain that maintains this tradition thanks to the clothing that our Falleras wear especially during the Fallas. 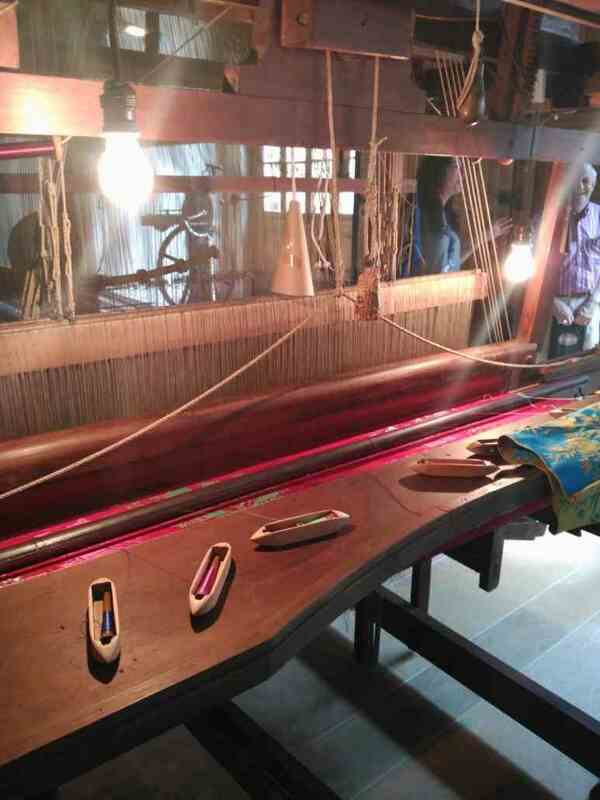 A visit to the Silk Museum is followed by theLonja de la Seda (UNESCO World Heritage Site). 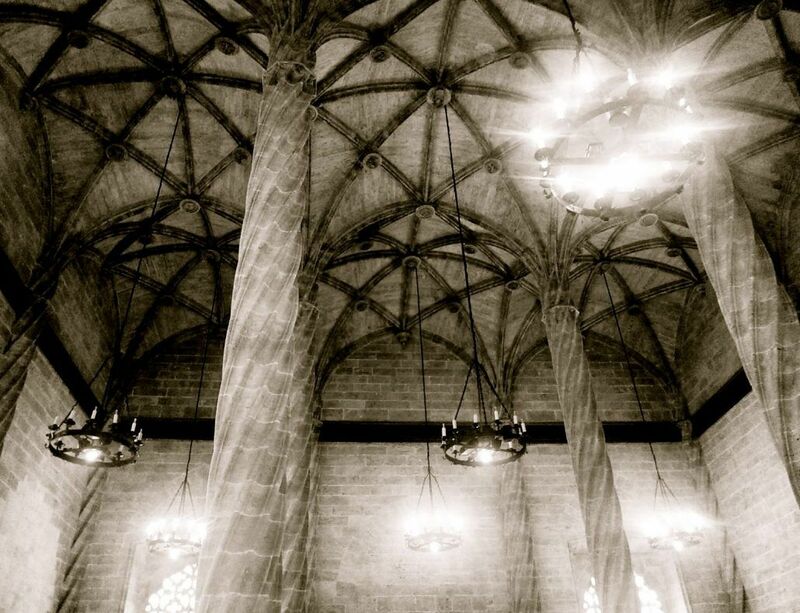 The Lonja was built in the 15th century by the master stonemason Pere compteto house the merchants (hence it is also known as the Lonja de Mercaderes) who came to Valencia to carry out their commercial transactions. 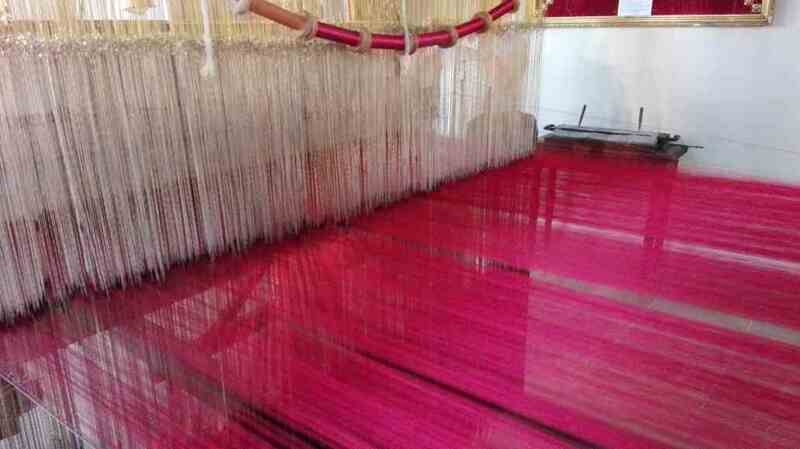 The main merchandise with which it was traded was silk, and hence the name of Lonja de la Seda. The city lived its splendour period, its Golden Age, and the old Lonja was too small. It is then when this great monument is built, a sample of the wealth of the city, and it is done in just 8 years. Salón Columnario or Sala de Contratación. There are several spaces that form it. On the one hand the Salón Columnario o Sala de Contratación, where the commercial land transactions were carried out (including silk). In this room we find 24 twisted columns that lead to ribbed vaults whose ribs give the sensation of being under a forest of palm trees. In addition, in its origin, the vaults were polychrome which conferred an even greater beauty, if possible. Next to the Salón Columnario or Sala de Contratación is the tower. 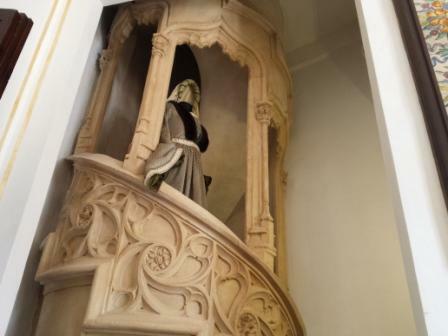 Its first, second, third and terrace floors are accessed through a small neo-Gothic door that leads to a spiral staircase without a central axis, a magnificent work by Pere Compte. 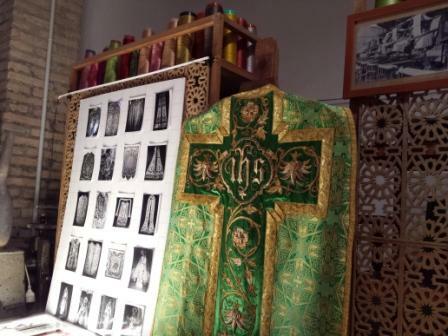 Its ground floor is a small room that housed a chapel. In its upper floor it is said that there was a dungeon for those merchants who committed fraud. There are many curiosities that await us in this space. For example, the iron fence that separates it from the Salón Columnario was forged in the 17th century and belonged to the old and disappeared Casa de la Ciudad, that is to say, to the old Town hall. Next to the tower is the Consulado del Mar, in which were regulated and judged maritime and mercantile matters and consists of basement, ground floor, main hall and Upper floor. On the ground floor, which housed the Court of Commerce, the wooden coffered ceiling of the sixteenth century stands out. 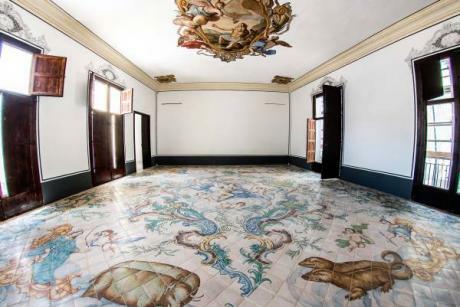 The main hall is called the Sala Daurada(Golden Room) thanks to the 15th century gilded coffered ceiling that belonged to the old Casa de la Ciudad (City House) and was installed here in the 20th century. This is a magnificent work of great value in which we find all kinds of motifs and ornaments. Patio de los Naranjos (Orange Tree Courtyard). 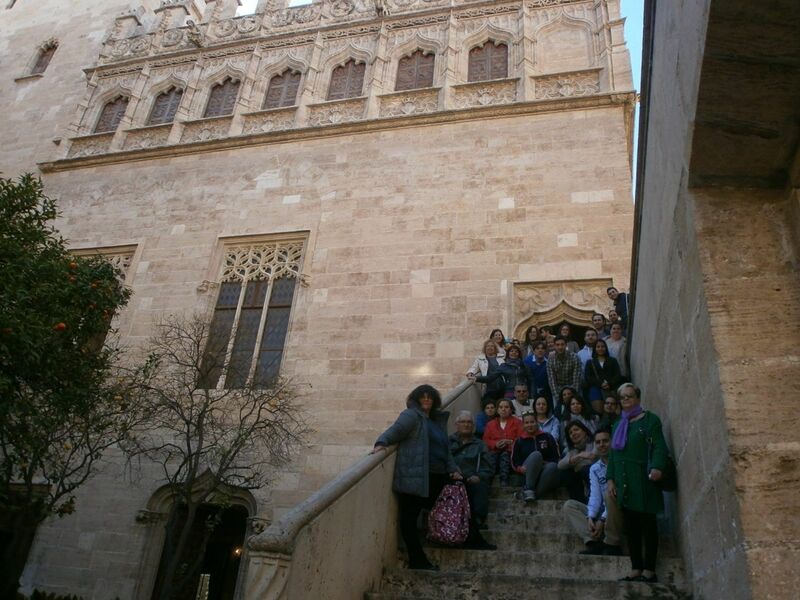 Through a cover we access the last space that forms the Lonja de la Seda, the Patio de los Naranjos. It gets its name from the orange trees that are planted and that adorn it. Outside of the Lonja there are 28 gargoylesworth contemplating. 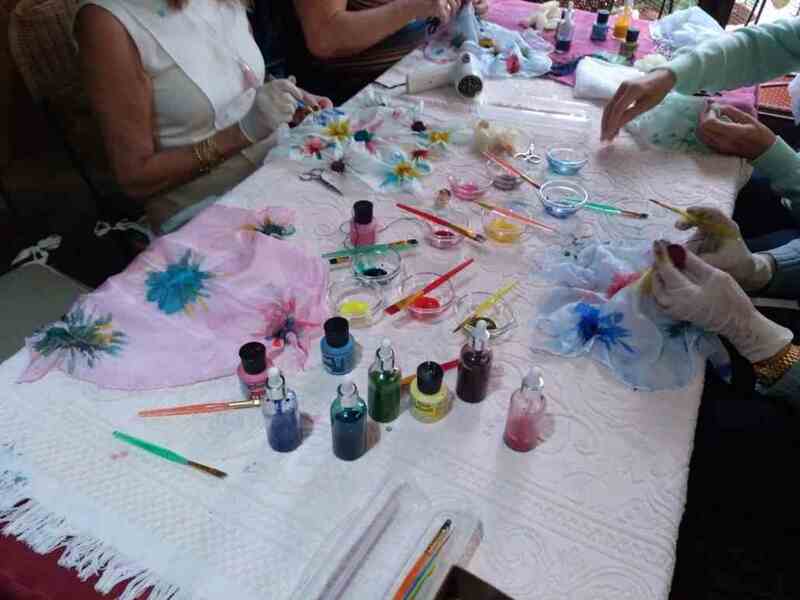 Once you have visited the silk museum and the Lonja de la Seda all you need to do is put silk into practice and feel it first hand with this unique silk workshop. 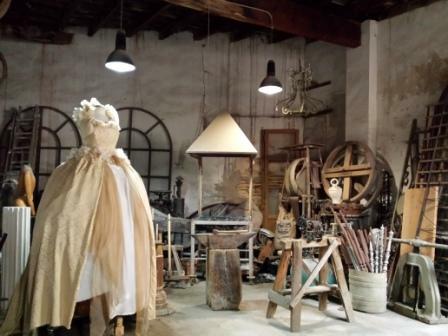 For this purpose we visit a silk workshop with more than a century of history, located in the same neighborhood of Velluters and hidden from the eyes of any passer-by. 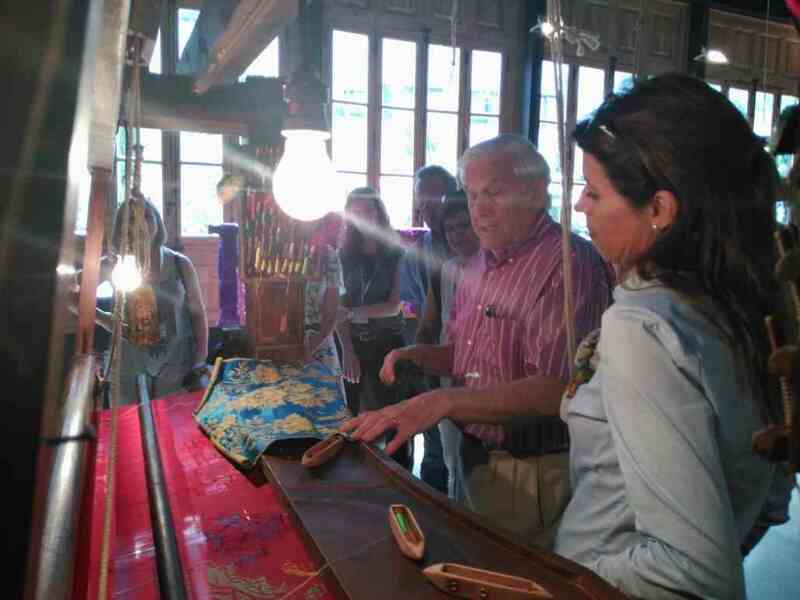 A craftsman with generations of silkmakers welcomes us to his workshop to show how they worked more than 100 years ago. 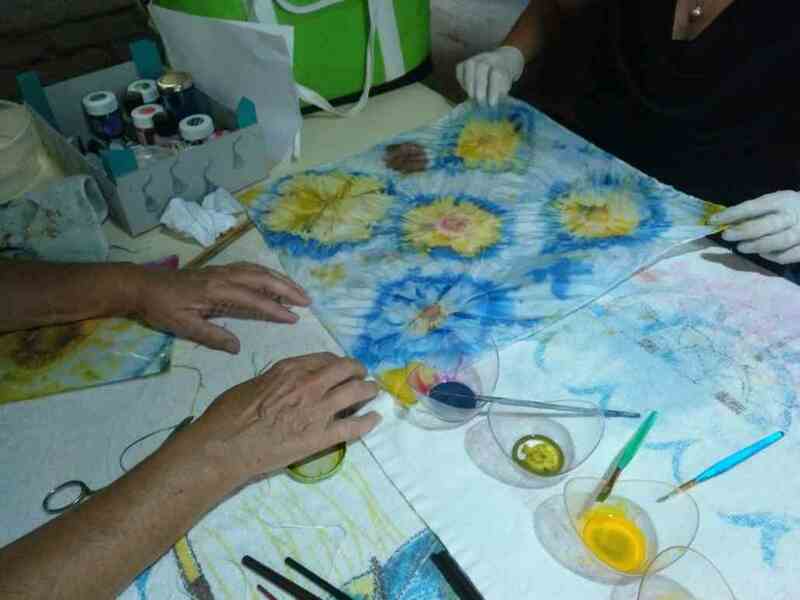 Then a craftsman of the Colegio del Arte Mayor de la Seda shows us how we can paint a silk scarf. 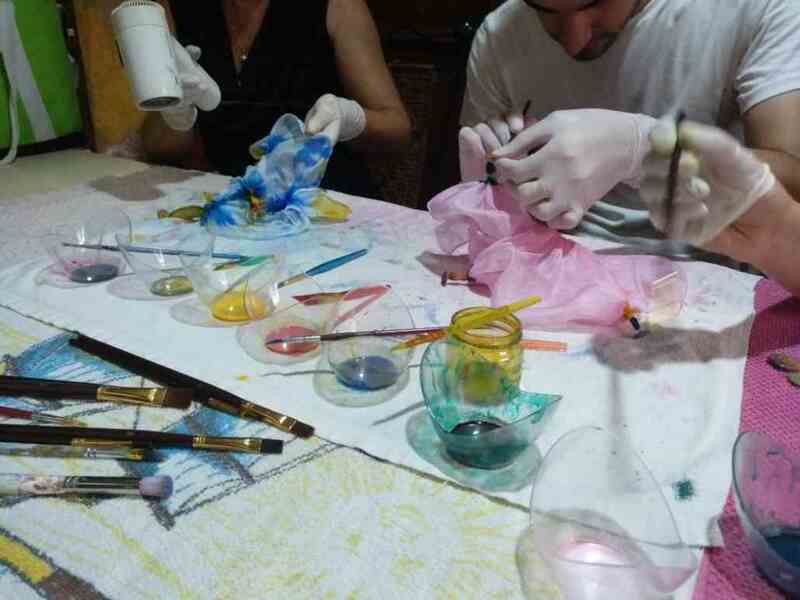 With a simple technique and special pigments each one creates his own artistic work that he will take home as a souvenir of this unforgettable experience. 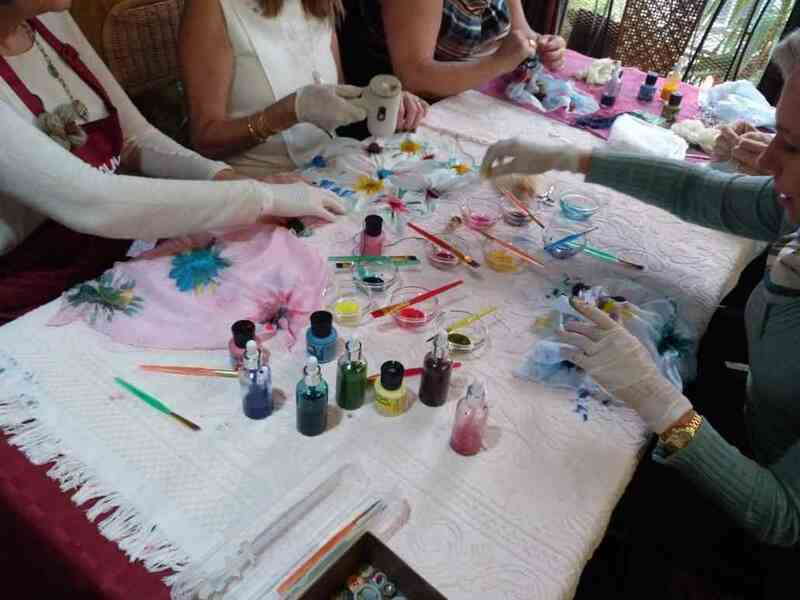 Live the silk with this silk workshop.